Brussels.- By Antonios Gkildakis, (CNA) – The competitiveness and the comparative advantages of Member States have to be respected while discussing the implementation of a common corporate tax basis, Cyprus President Demetris Christofias stated here Friday, at the end of the Spring European Council. 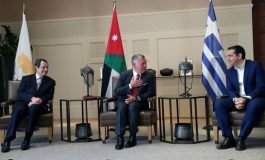 Speaking to journalists, the Cypriot President referred to the decisions adopted, concerning EU financial governance, latest developments in Libya and nuclear safety issues, arising after the devastating earthquake in Japan. Concerning EU Summit decisions on economy, President Christofias said a comprehensive package of measures has been adopted, aimed at overcoming the impact of the financial crisis and allowing Member States to continue their path towards sustainable development. President Christofias noted Cyprus submitted, along with Malta, a common declaration, asking for the development of a common tax basis in a way that does not impinge on the comparative advantages of Member States and without affecting negatively their revenues. He added, moreover, that discussion on this issue would continue. In another common declaration with Malta, submitted to the Council, Cyprus highlighted the position that the activation of the European Stability Mechanism should not entail any discrimination in financing Eurozone Member States, when the stability of the Eurozone is at risk. Regarding the situation in Libya, the Cypriot President said the international community had to undertake only actions that are necessary in enforcing UN Security Council resolution 1973. He stressed that no actions, on the part of the international community, should eventually lead to a long-standing conflict or the country’s division. EU involvement in Libya’s democratic transition, he said, should only be made upon the invitation of the interested parties. 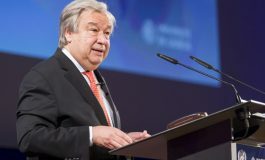 Moreover, he noted that humanitarian aid flow to the area is of particular importance, adding EU Mediterranean Member States foreseen to be affected by the crisis, should receive support in managing the increased flow of refugees. 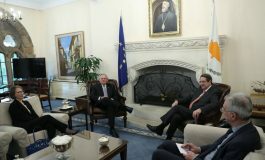 He expressed, once more, Cyprus’ strong concern regarding Turkey’s nuclear programme, and especially its intention to build a nuclear power plant in Akkuyu, a seismically active area, on Turkey’s southern coast, very close to Cyprus. President Christofias indicated that a common approach should be adopted by the EU, in order to exert pressure to Turkey to revise its nuclear planning. He noted a relevant paragraph, promoting nuclear safety beyond EU territory, has been included in the Council conclusions. 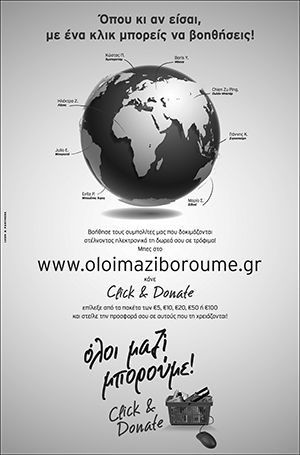 The issue, he added, was raised by himself and Greek Prime Minister George Papandreou. “We are very sensitive on those issues. It is natural”, President Christofias concluded. After the press briefing, the Cypriot President flew back home.